Water damage can not only affect your home, but also you health. If you’ve experienced overflowing appliances, leaky pipes or other areas of water damage in your home, you need fast and comprehensive water damage repair and restoration services. Before any cleanup occurs, a trained professional will inspect your home to assess the extent of the water damage. It’s difficult to determine which areas need the most attention and what can be restored or repaired rather than replaced. Once the inspection is complete and you receive an estimate, you have a better understanding of what the water damage repair service entails. 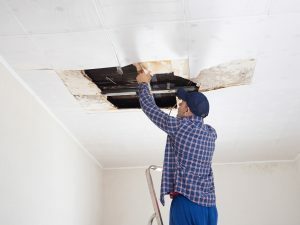 Water damage can easily destroy drywall, insulation carpeting, plumbing and furniture in your home. Some minor damage can easily be cleaned, but more extensive issues require replacement. Be sure you hire the most professional technicians in the area for unmatched service. If any water damaged materials are missed, your home could harbor dangerous mold that could affect your health. A professional cleaning service will have the equipment and experience necessary to clean up all types of mold safely and prevent future mold from growing. After a professional cleanup service has removed all the damaged materials and restored your home, there are a few steps you can take to prevent future water damage. First, have your septic lines regularly cleaned in order to avoid clogs. Your appliances that use water, like a your washing machine, dishwasher and refrigerator, should also be periodically inspected. Consider adding insulation to your pipes if your water damage occured because of burst pipes. No matter how your home was damaged, you want a safe, reliable and prompt cleaning service to help you restore your home. Contact local water damage repair specialists to find out how you can bring back the safe, dry sanctuary that is your home.